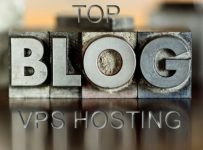 VPSLink offers one of the most affordable VPS hosting services in the industry. As the name suggests, they remain focused exclusively on VPS and do not offer shared and dedicated server hosting. Even within VPS, they specialize in unmanaged, Linux hosting. Though the uptime is usually excellent, the company offers no express guarantee for it. However, the account as a whole comes with a 30-day money-back guarantee. The hosting gives you full root access to the server and they also offer cPanel and WHM licenses separately. Though the company claims to be in operation since 2002, they actually started offering VPS hosting services under this name from 2006 onwards. They are completely focused on Linux based, unmanaged VPS hosting services and their datacenters are located in Boston, Massachusetts. Major chunk of their customers include individuals and small to mid-sized businesses. The company is very much clear as to their target customers and is quite straight forward about the limited technical support they offer. Their modus operandi is simple: Customers take care of the VPS they buy and the company saves on the time and financial resources thus allowing them to focus on uptime and performance with lowest cost possible. Just $6.62 a month? That’s even cheaper than most of the shared hosting services, you’d say. So, what’s the catch? Well, there’s no catch as such but the only thing you should be aware of is that it is an unmanaged, no-frills VPS that comes with very limited technical support. To put it on records, they don’t have any formal uptime guarantee either, but that’s not something to be worried about; that’s in fact, one of their strengths; they have a track record of excellent uptime and have not invited any negative reviews yet. It is Linux based VPS that they offer and the various operating systems (OS) that you get to choose from include Gentoo, Ubuntu, CentOS, Fedora, and Debian. They have an array of 5 different plans which they prefer to call Links. So, you have the entry level plan as Link-1, the highest plan as Link-5, and 3 more plans between these as Link-2, 3 and 4. All plans give you the option to choose from monthly, quarterly, half-yearly and yearly billing cycles with prices coming down as you go up for longer duration. Thus, Link-1 would cost you $7.95 per month but only $6.62 per year; that is a discount of about 16%. However, note that there is no discount for quarterly billing under this plan. Xen is the only virtualization platform available under this plan. All other plans give you the option to choose from Xen and OpenVZ as your VPS platform. As of now, they don’t offer any additional IPs apart from what you get along with your hosting plan but this is likely to change very soon since they have already come up with the pricing structure for it which is like $3 per month for 1 IP, $10 per month for 5 IPs, $30 per month for 15 IPs, and $50 per month for 25 IPs. To make your task easy, you can now get cPanel or WHM license by paying an additional amount of $10 per month. However, you need to be either on CentOS or Fedora operating system to be able to use this option. You will be able to place an order for it after your VPS account is set up. All plans come with 30-day money-back guarantee. 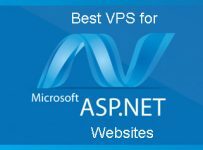 As it happens with most other projects, when you buy a VPS account you will be excited to begin with your project as soon as possible. But when there is delay in setting up the account, it can dampen the very spirit and slow down the project. It can also have financial repercussions if your existing site is down and you are looking to put it back online at the earliest. VPSLink understands this pretty well; that’s the reason they have server provisioning in their top priority list. They have a written VPS provisioning system in place and provisioning is done within 30 minutes of placing the order. If by any chance this is not done with this timeframe and neither do you get to hear from them, then you should be raising a support ticket to check the status. VPSLink has their datacenters in Boston, Massachusetts. The datacenters are optimized for maximum performance and feature redundant network. They have multiple peering partners and upstream providers, and traffic is automatically routed to the most suitable connection available. The Network Operations Center (NOC) monitors the servers, machines and the network round the clock for power, temperature, connectivity and various other factors. The NOC is staffed with highly qualified personnel and entry into it is restricted. Their intuitive Server Control Center makes it easy to manage your VPS. Since they give you full root access to the server, you can reboot, stop, start your VPS or change its root password on your own. Installing the operating system is just a matter of minutes. And when you want to scale up your resources with additional RAM or disk space, you can do it all on your own without having to speak to the sales team. Likewise, you can also manage your DNS using the VPSLink DNS that you’ll find in the Control Center. While VPSLink’s phone, chat and ticket support systems are limited to few crucial issues like resetting the root password, configuration changes outside individual VPS servers, access problems, maintenance and performance of the physical machine, etc. there are certain other support resources that customers can turn to. Their knowledgebase has almost all standard queries covered and contains some excellent video tutorials to help you through. You can also browse through their technical wiki for a topic of your interest. The community on the forums is also quite active and you will often find help coming in from other users. 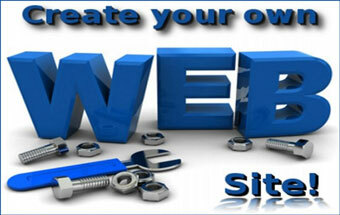 Most of the topics they discuss on their blog are also intended to help and update the customers. VPSLink hosting services are not meant for everybody and they are very clear about it. Their services are designed for advanced Linux users who can administer their VPS on their own without seeking any support from the vendor. So, if you are new to the concept of VPS hosting, you’d rather not go for unmanaged services. Also, if you are looking for Windows based hosting, VPSLink is not for you. 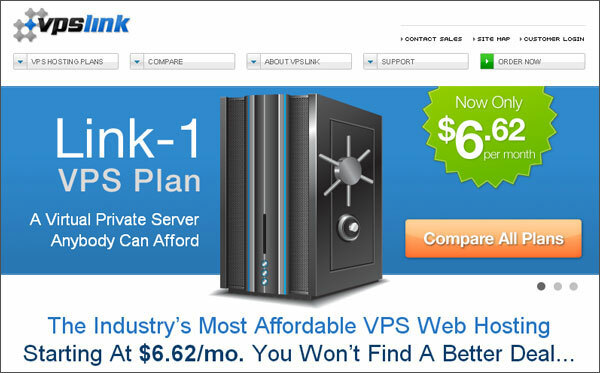 If you are looking for a cheap VPS hosting solution, VPSLink is definitely an option to consider. After all, you will hardly find anybody offering VPS at a throwaway price like $6.62/month; however, the requirement being that you should be comfortable handling a Linux VPS with minimal, external help.